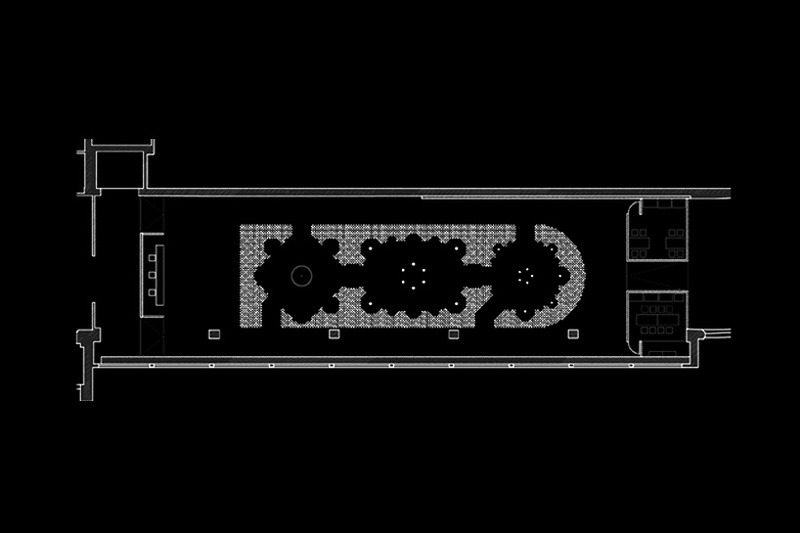 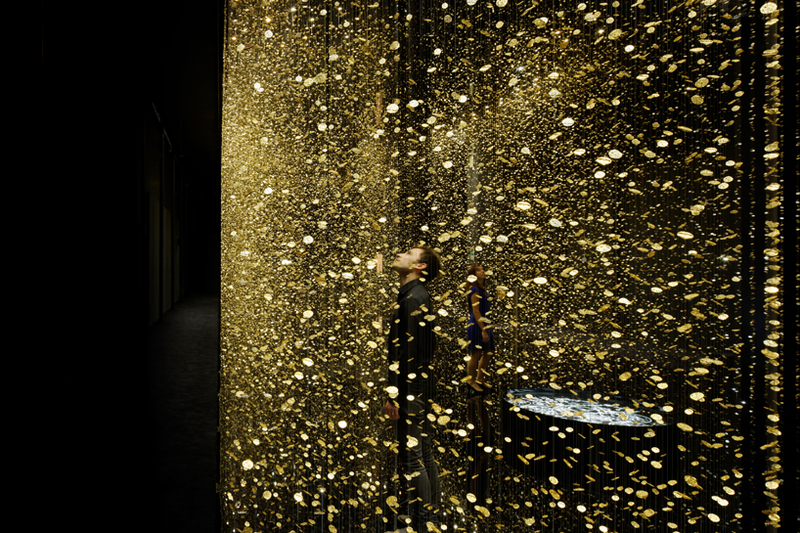 DGT architects is a paris-based international partnership founded in 2006. it is led by three architects: dan dorell, lina ghotmeh and tsuyoshi tane. 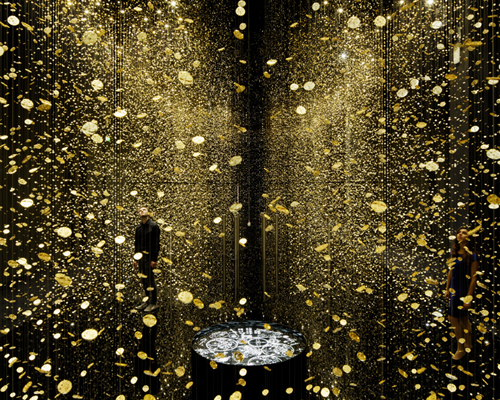 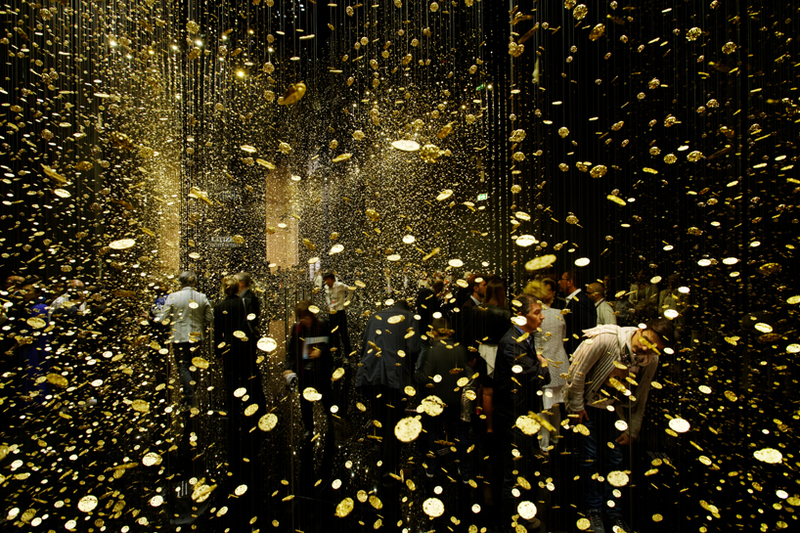 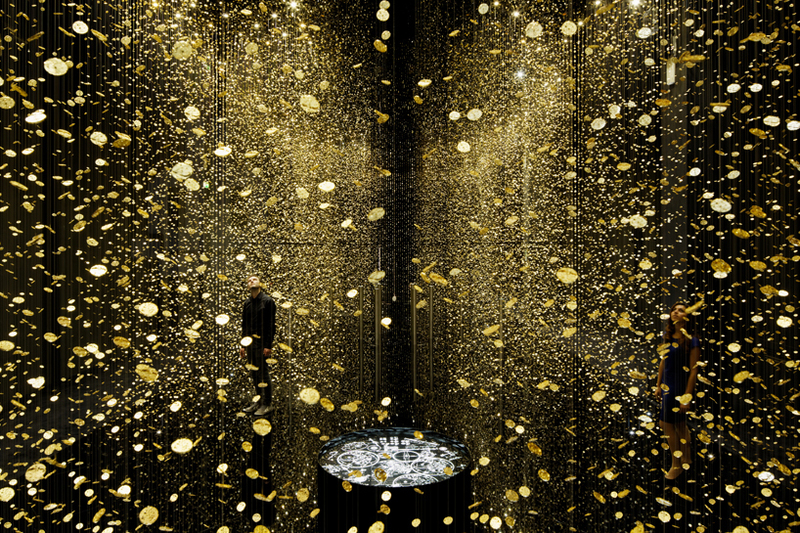 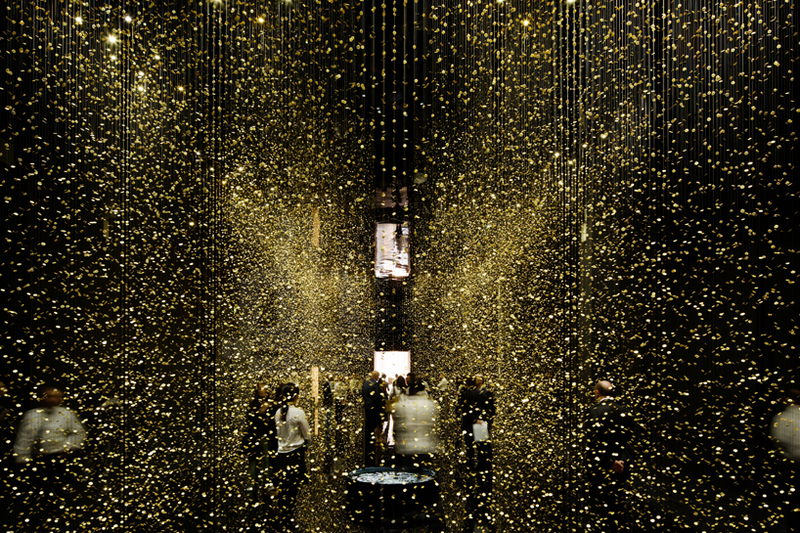 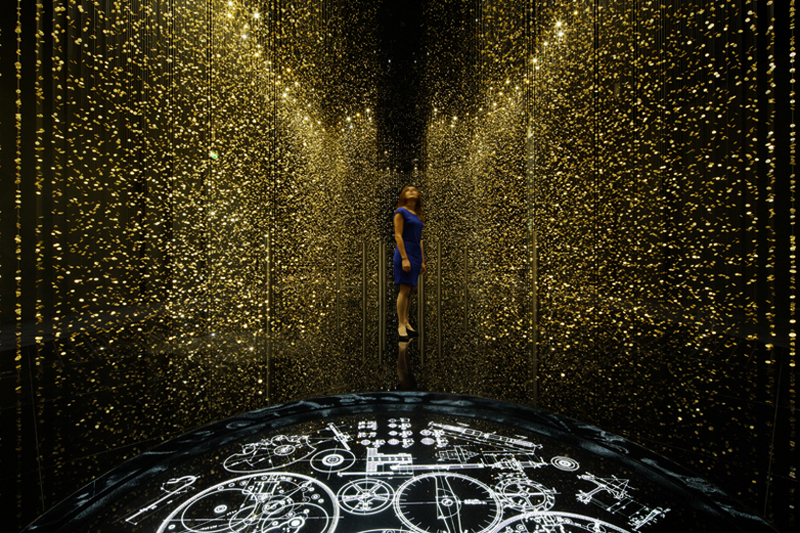 the ‘light is time’ installation for citizen watch company by paris-based DGT architects was set up in la triennale design museum in italy during milan design week 2014. the space consists of 80,000 glittering base-plates, which are the small structural device that support the components of a watch. 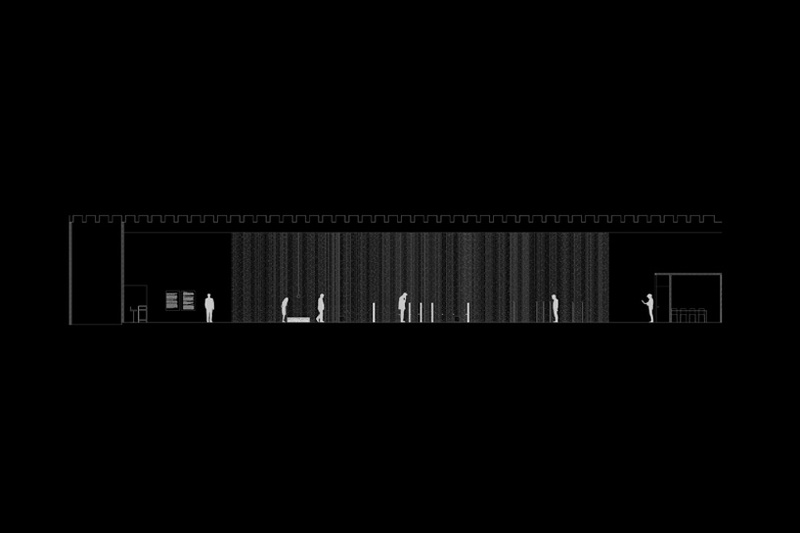 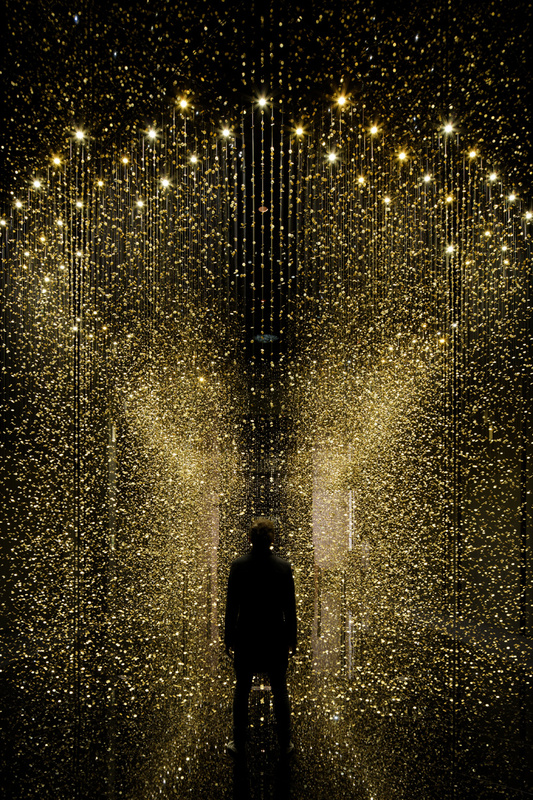 the exhibition features an orchestration of composed sound and lighting elements, forming a series of enclosed spaces where one may contemplate the mysteries of the universe. 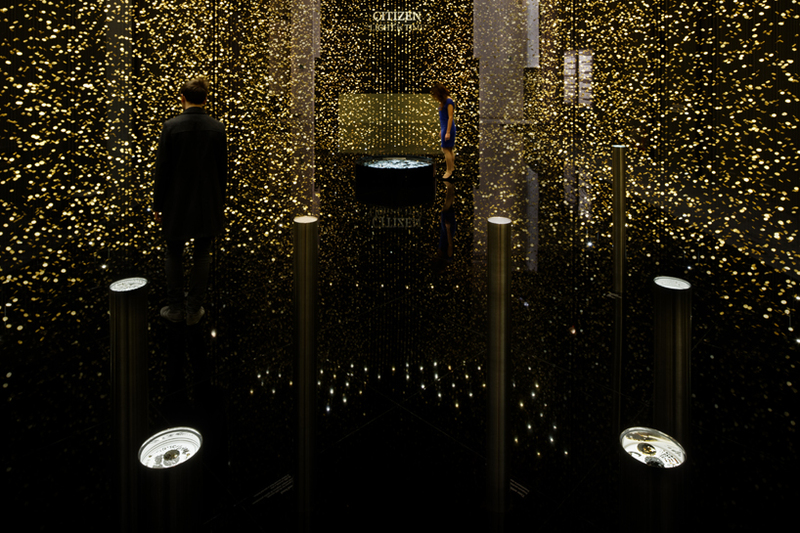 three rounded, excavated volumes are used to display everything from citizen’s first pocket watch to the latest satellite watches.